Theme Park food in general is expensive and not very healthy either. I guess as its a captured market and it’s a way for the theme park to add to their profits, you pay more for good food. The best idea is always have a buffet breakfast at your hotel as brunch before you leave the hotel, so that you are less inclined to require lunch and then only need to worry about tea time. We found a mix of good and bad food experiences at various theme parks. We did resort to bringing our own sandwiches from Subway or a 7-11 shop a lot to save money and have something ‘healthier’ to eat. Below is our summary of what we ate and where. California Adventure Park – Free chocolate is offered sometimes at Ghirardelli Soda Fountain and Chocolate shop and there is free bread at the Boudin Bakery on their tour. The history of the sour dough on the tour is quite interesting too. The Pacific Wharf Café is a great place to eat a good value breakfast. California Adventure park also provides the service of free iced or warm water at all counter meal restaurants. Disneyland Anaheim– You are not meant to bring in your own lunches and bags are checked, but if its only a few “snacks”, you will be ok, just don’t bring in huge hampers of food or glass bottles. There is a huge variety of food at Disneyland to choose from, from Counter restaurants and Pizza outlets to upmarket restaurants. The prices are not too bad and are reasonably priced for a theme park. However, we mostly brought in our own food (Subway again, Sandwiches, Fruit and Pastries from the nearby 7-11 store in Anaheim). Downtown Disneyland is just outside Disneyland and we were regulars at the ‘Earl of Sandwich’ outlet there. You can sign up to the Earl of Sandwich email site before you leave home and you will get a free sandwich offer and other discounts that are emailed to you every few days. Earl of Sandwich is located in numerous places around America, so signing up for regular emails helps keep costs down when travelling to other areas of the U.S. There is the added advantage of free Wifi in Earl of Sandwich outlets too. Make sure you sign up to email alerts only a day or so before you go to Disneyland though as the first discount is the best and has a short use by date. One tip with Earl of Sandwich though, if you don’t like your sandwich being smothered in sauce, ask for ‘light sauce’ or ‘none’, otherwise you will find your sandwich being smothered in thick sauces. There is a huge variety of hot and cold sandwiches and wraps to choose from in Earl of Sandwich, and if you have fussy eaters in your party – this is the place to eat and most sandwiches are under $6 US. There are also refillable drink offers at Earl of Sandwich. Also Disneyland (and California Adventure Park) offers free water at any of its counter restaurants, hot water in winter and cold iced water in summer. Other than a really nice courtesy, I do wonder if the origins of this are because on Disneyland’s opening day back in 1955, people got terribly dehydrated due to the very hot weather and the park was ill equipped to cope with the large numbers of people. A plumber's strike around opening day meant Walt Disney was forced to choose between functioning toilets or water fountains. Walt Disney chose functioning toilets as a priority – and I wonder if this event shaped the ‘free cup of water’ policy in the park ever since. City Hall also has recipes for popular Disneyland dishes and are free. Disneyland Hong Kong – We ate at the Royal Banquet Hall, but we did have our emergency stash of food with us too. The meal at the Royal Banquet Hall however was very good value for Disneyland and the scenery was lovely inside the Banquet Hall. Disneyland Tokyo - Typical of our whole trip to Japan, the food was really great, yummy and well priced. We often had our meals at the nearby Ikspiari shopping mall, which was situated next to Maihama train station and very close to Tokyo Disneyland. Our favourite place to eat was the Cafe Chez Madu for breakfast, lunch or tea. The prices of this cafe were very good and the food child friendly. For a small slice of pizza it was $3 Yen and $2 Yen for a sweet pastry. Ikspiari also had numerous food courts too which were very cheap and affordable, such as onigiri, a triangular sushi with various fillings for $1.20 Yen each. With Ikspiari there is also a small supermarket where we would pick up breakfast foods to take back to the hotel. Including green yoghurt! Within Tokyo Disneyland, we tried to get into the Queen of Hearts Banquet Hall, the Alice in Wonderland inspired restaurant which is incredibly popular but we unfortunately couldn’t get in. Probably best to try eating here during the non peak times but the food is apparently very good and the atmosphere even better. We did find a happy alternative, the Captain Hook’s Galley, which was just a counter restaurant but it’s easy to stop here and get something to eat quickly and cheaply. The pizzas are fantastic and you will definitely want to go back there again. They have pizza meal deals at Captain Hook's Galley with or without a drink, and the drink is refillable, so order the small size. Disneyland Tokyo is famous for its supply of numerous Popcorn flavours, to be featured in an upcoming blog. It comes in about 8 flavours, some are very unusual and constantly changing. The popcorn makes a great snack, and comes in these cool souvenir-themed buckets. DisneySea Tokyo, similar to Tokyo Disneyland, the food was really great, yummy and well priced. We again had supplies of food with us from Ikspiari shopping mall but we also ate at the Casbah Food Court located in the Arabian Coast and the food was extremely delicious in a lovely themed area. I truly thought I was in North Africa! San Diego Sea World. The food was expensive ($30 US for lunch – 1 pasta meal box) and terrible (drowned in sauces). I would strongly suggest bring in your own food at Sea World at all costs. The Pizzas are ok at Mama Stella’s Pizza Kitchen, but not very filling, and you will go back for more. San Diego Zoo – We didn’t eat in the park, we brought our own lunch (Subway) and sat by an animal enclosure to eat which was a very pleasant way to enjoy a meal. There didn’t appear to be be too many eateries here at the zoo, or maybe they were camouflaged in the lush grounds. Singapore Gardens by the Bay – A 5 minute walk from the gardens and Supertrees is the hawker centre ‘Satay by the Bay’, which is family friendly and where you can buy 10 chicken kebabs for Singapore $7 and other cheap meals. The hawker centre is atmospheric with the smell of barbecue smoke and Asian flavours. You can also purchase a Dinosaur Milo here (Milo drink) or Milo Tabur which is a Malaysian and Singaporean drink, composed of a cup of Milo (a chocolate malt drink) over ice with powdered undissolved Milo. Apparently the Godzilla Milo has icecream added. The Milo tastes different from the Milo we get in Australia. Singapore Zoo – We had Indian at the Ah Meng Restaurant at Singapore zoo. This place was really good value. For $15 Singaporean dollars we got an Indian platter of food to share full of meat, rice, vegetables and naan bread. 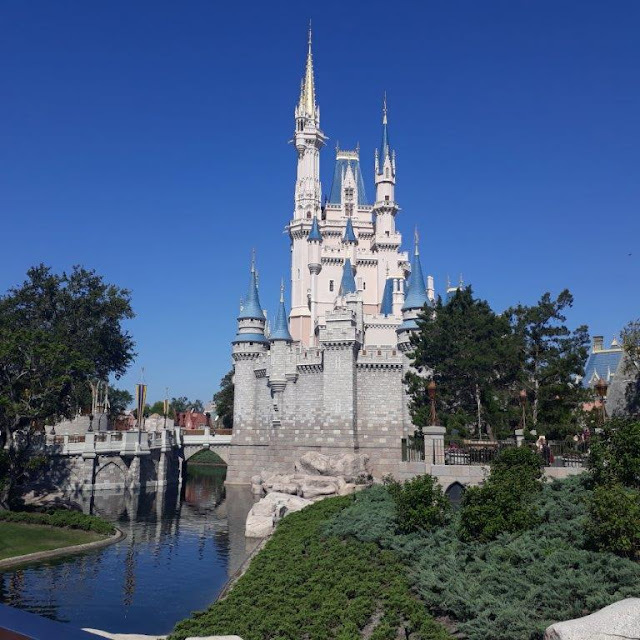 – There is a golden rule not to bring in food into Universal anywhere in the world as they are known to take a tough stance on food, however, you can bring in a few snacks (obviously not huge food hampers), and we brought in some healthier Subway sandwiches. There is a large area outside of Universal Studios called ‘Universal CityWalk Hollywood’ that has a huge range of eateries Subway, Pizza hut, Tony Roma, Bubba Gump, Hard Rock Cafe, and Bucca De Beppo. We did not eat anything in this area outside Universal Studios (as we didn’t know it existed until we got there and had already eaten) but the souvenirs were definitely cheaper, and so was the food. Everything inside Universal Studios was expensive. My advice would be if you can’t find anything to eat suitable inside Universal Studios, venture to the CityWalk area just outside. Universal Studios Singapore – Just outside of Universal Studios is the Malaysian Food court which we visited a few times on Sentosa island. You can get 10 kebabs for $10 Singaporean dollars and there is a huge range of Malaysian food which is good and cheap. The area is also quite atmospheric as there are many food outlets in this food court. Inside Universal Studios Singapore there is Loui's NY Pizza Parlor which had very expensive pizzas (was it really over $50 Singaporean for a family size pizza?). We enjoyed a meal however at the KT’s Grill in the New York zone. It’s a steak house, and you can find the usual steaks, fish and chips and other grilled food. We paid $10-$30 Singaporean dollars per meal here and was the one really big splurge on our trip. The food was exceptional and filling and the service was very prompt. If you eat within Universal Studios, you get charged a 'surcharge' on top of any taxes. Overall, we were less hungry in Singapore, probably due to the heat and we also filled up on buffet breakfasts at the hotel. Hoping that you find this week’s article informative. Please note that these reviews of where to eat around theme parks are mine only. Places and costings are also subjected to change but hopefully this gives you an idea.